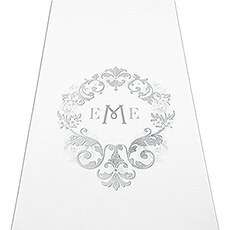 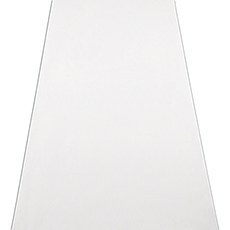 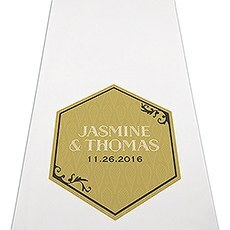 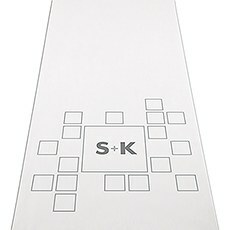 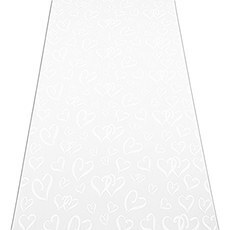 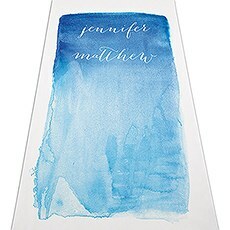 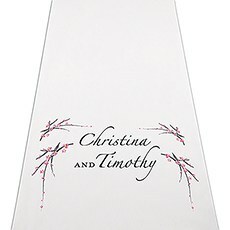 Personalized Wedding Aisle RunnersCeremony decor can be one of the toughest things to tackle when getting ready for your wedding day, but we've made it simple with our assortment of personalized wedding aisle runners. 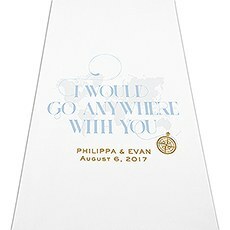 In addition to making your walk toward your future spouse even more meaningful, these aisle runners add an extra dose of style to your event. 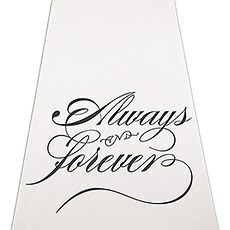 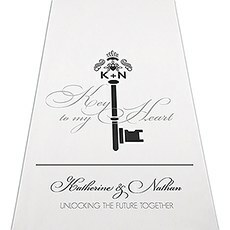 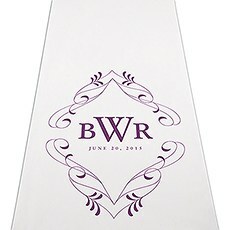 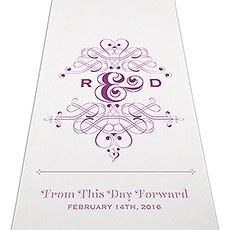 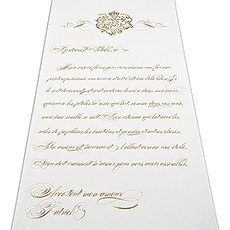 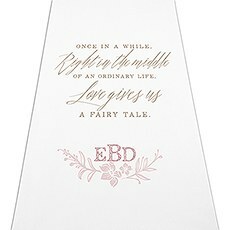 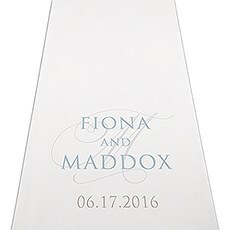 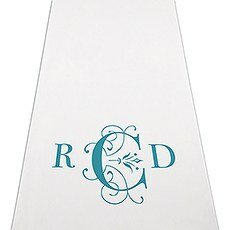 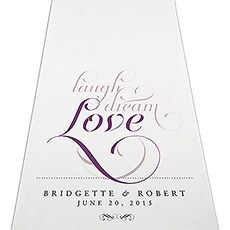 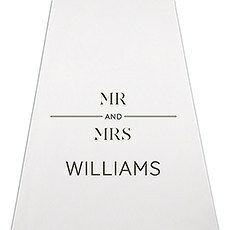 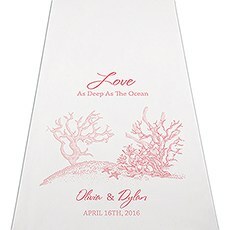 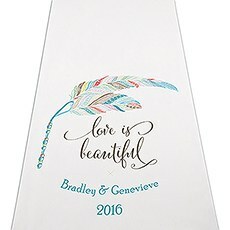 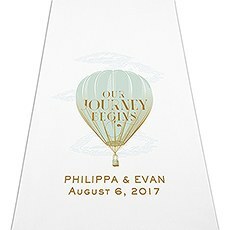 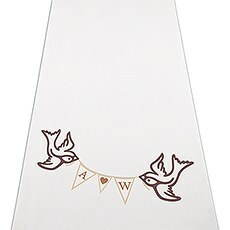 And with so many designs from which to choose, it's easy to find an option that fits right in with your ceremony venue.Make your walk down the aisle as sweet and memorable as can be with a customized aisle runner that's printed with your monogram, names or symbols that capture your special theme. 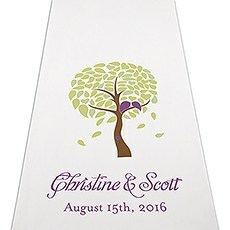 Each printed wedding aisle runner from The Knot Shop is made with high-quality, non-woven fabric or burlap to ensure that it endures in the face of high heels and constant foot traffic. 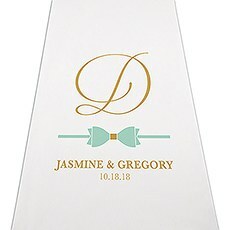 With a lovely customized look and a durable design, these aisle runners make any ceremony look absolutely fabulous.Investing in a custom-made aisle runner is a great way to add a vibrant design to your ceremony space while protecting the floor from punctures and scuffs. 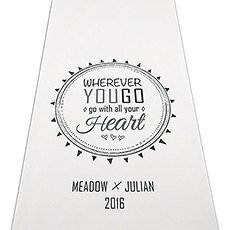 They can be used as-is to cover the aisle in churches, barns and event venues, and can even be placed outdoors to make your open-air ceremony feel more like a chapel. 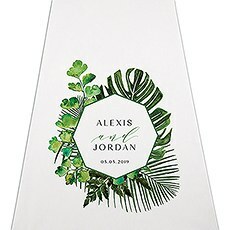 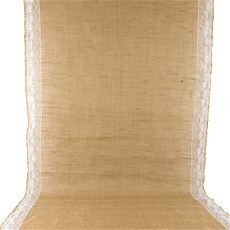 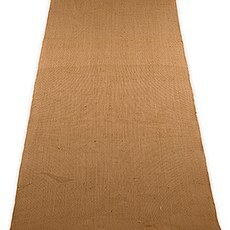 When using aisle runners outdoors, we recommend adding a solid surface beneath the runner such as plywood to ensure that heels don't puncture the material when it's lying over grass.While our personalized aisle runners for weddings are certainly popular, there are also plenty of options for those who want a simple look. 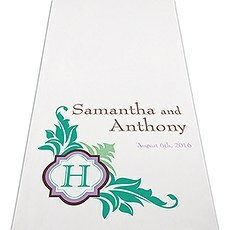 Our non-personalized aisle runner options can be ordered in a single click and feature especially budget-friendly prices.